LIC Jeevan Rakshak – Is it really Jeevan Rakshak? Home » Insurance » LIC Jeevan Rakshak – Is it really Jeevan Rakshak? 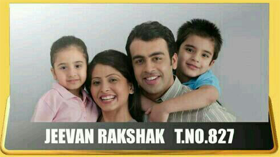 LIC of India is back with new Insurance plan Jeevan Rakshak (Plan No 827). Official Launch date of this plan is 19th Aug, 2014. This is regular premium paying Non-linked, With Profits, Endowment Assurance plan. This plan shall be available to standard life only under non medical limit and the total Sum Assured under this plan shall not exceed Rs.2 Lac. Let us look at LIC Jeevan Rakshak in detail. Premium rebate of 2% for yearly premium and 1% for half yearly premium. High sum assured rebate of 1.5% if you opted for more than Rs.1,50,000 Sum assured. Offers guaranteed surrender and special surrender. In case of surrender then no loyalty addition. You can find Premium Ready Reckoner here. Is it really Jeevan Rakshak? LIC Jeevan Rakshak at first instance might look attractive but in general endowment plans like this will end up giving return in range of 5-6%. If we look at higher commission rate of agent and other expense of this policy is expected to give same type of return. Sum assured of this policy is biggest constrain as per me. In today’s world 2 Lac is having no value and at the time of maturity after 15-20 years this amount will be peanut. In 2 Lac I don’t know how many years any depended can survive. Today people find 1 Cr risk cover is less. With this Sum Assurance I don’t think so this policy is really Jeevan Rakshak! Overall it seems to be another Bad policy by LIC. How do you rate this policy? Do share your views. For More Information Visit LIC site. I have seen lots of comment about LIC new plan.But I think we all forget onething in India till now term insurance is not popular reason a person who earn 150 Rs a day cannot aforde to vanish his money if nothing happen.This particular plan is make for those people who cannot able to give high premium but also want bonus.Thats why it’s minimum sum assured is 75000.For other high end customer LIC has its product.Today just see the pvt insurance did their ticket size is big for whose profit.But they never try to touch lower class of the society.Is it India for only high and upper middle class ? What is the population of the so called lower income group ? Just see this particular plan bring maximum business to LIC.and if everything ok then within a very soon lot of pvt player will close or sell to other. Nobody in india is willing to loose their hard earned money for investing it in a term insurance plans. Everybody wants to get back their investment with some profit. High risk rate could have been fixed as 5 lakhs. So middle class people such as group D Government servants prefer this plan. However the people hailing from villages will prefer to invest in this plan. Let encourage this attempt byLIC OF INDIA. My point is maximum risk cover in Jeevan Rakshak is very low (2 Lac) and which could not fulfil future needs of dependent considering inflation factor. Hope I have make my point clear. Lic’s new plan jeevan rakshak is an Aam Aadmi yojna,it’s a plan for lower middle class group,villegers,farmer,vendors who r not able to pay high premium.It’s a very good thinking of LIC becoz India,is a country there is huge financially contrast among people of India.Inspite of ,we have some world leading business man like TATA,BIRLA,RELIANCE but stil we r belong in developing country.Still people r searching Rs.400,500/-mly policies,Rs.5000/-,10,000/-single premium policies.So,I belive everybody needs insurance,may be poor or rich,specially for poor.So I think it’s a good move by LIC.I wish it will bring more convensional premium,& best selling policy in lic.Thank u. Looking at Risk cover and premium it seems LIC Jeevan Rakshak is not Aam Aadmi Yojna. Yes Lower middle class people cannot pay high premium but here policy is available at much higher rate. cost Term plan is available with risk cover of 70 Lac. So from my point of view from insurance point of view it is not good plan. Insurance is taken for security only.Insurance and Investment are two different thing. Yes You are correct that in case person survive after 20 years in term plan he will not get anything here at least he will get 2 lac plus bonus. In Our country we want both security and saving, so I think when person survive up to their policy year, than same plan giving a aam admi (common man) such amount which fulfill their needs partly. as Rs. 20000/ helps us in present time Such Rs. 200000 helps us after 20 years. Nahi se to kuchh milna sahi he.